Enter your email address below to receive a notification when The Story Box starts accepting new sign-ups! Enter your email address below to receive a notification when The Story Box is accepting new sign-ups again. Your box will ship on the 20th of every month. Please order before the 20th to get the current box. Get your kids excited about reading! 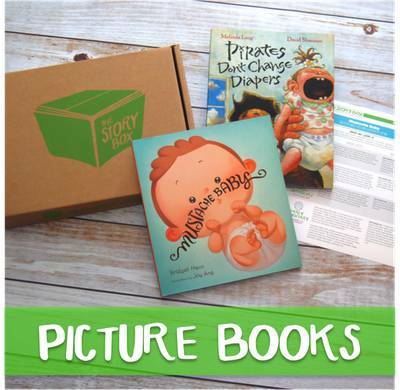 The Story Box is a monthly delivery of children's books. It's fun, exciting, and full of learning! 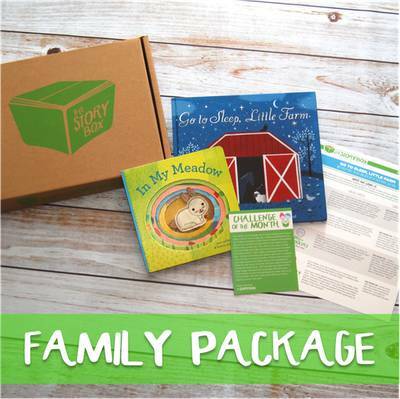 Each package includes two children's books and a parent guide. 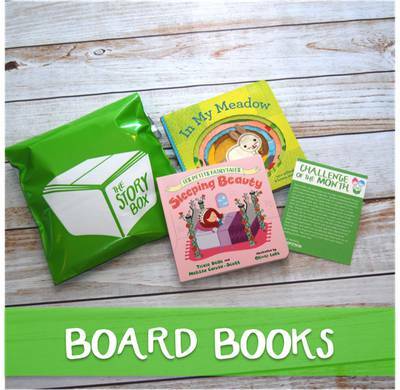 Our boxes will help you make the most of your family reading time. Pick from three package types - starting at $14.99/month plus shipping. Our boxes are curated by a speech-language pathologist. We'll help you use books to facilitate communication and pre-literacy skills. It's book mail for kids! Books are new and yours to keep forever. I started The Story Box shortly after my nephew was born. The books are engaging, good quality and offer helpful tips for my mother-in-law as she reads to him. Thank YOU making it easy to pass on the love of reading with my family. My daughter cancelled her subscription and asked us to order again for Christmas for her kids. Kids loved it! Easiest Christmas present this season. 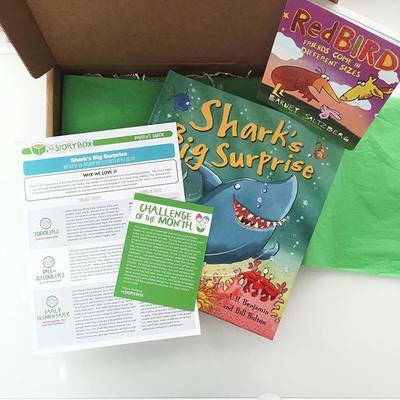 "I first heard about the story box at a literacy conference and decided to buy it for my grandson. He has loved the story box and looks forward to the books every month. The support team is quick to answer any questions." These books have been a huge hit and well loved by my Niece and Great Nephew!! I didn't know about them until he was 8 months old, started on the 3 month plan to see if they liked it, and they love it!! First books he chooses to read come from The Story Box!! Highly recommend! Loved the selection of books, but they came in a used condition. Permanent marker was on some of the ends of the pages and they looked banged up. If I'm paying full price for these books, then they should be brand new and not used. We love the Story Box!! We just received our first delivery and my girls were so excited to open their package! The books were age and season appropriate, and we like to read our books over, and over, and over. Looking forward to next months shipment. I am thinking this will be a unique holiday gift for my nieces and nephews! We love the story box. 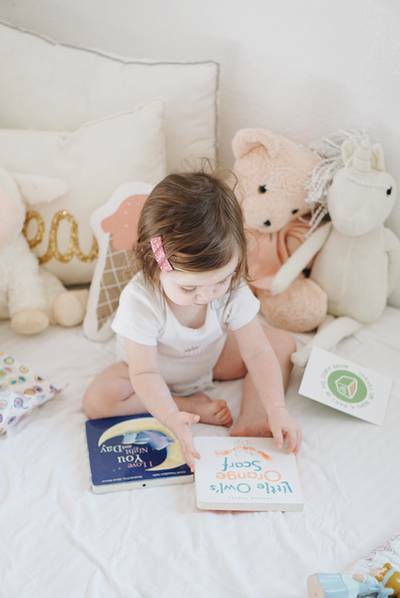 My daughter loves reading the different books each month. We also love the parent's guide that comes with the books. We love the storybox. My daughter enjoys reading her books. She looks forward to them arriving in the mail just for her. And she reads them to the whole family 😊 love ❤ There different fun and reasonable. We joined the Story Box last year and have been super pleased with the service. My daughter is thrilled when her books arrive each month. The parent guide is a great tool for parents looking to assist their child in his/her reading journey. It is also great because it isn't electronic and provides a very natural and intimate time enjoying your child and him/her enjoying you! I encourage everyone to give The Story Box a shot! You will be pleased. Lastly, you basically get two books for the price of one at a traditional bookstore! Everyone loves a great DEAL!!! 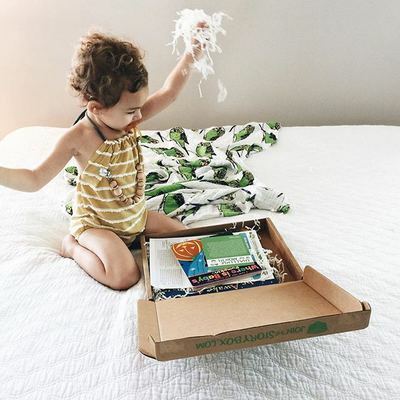 We started receiving The Story Box monthly about six months ago. We have a three and a half year old son and he absolutely loves when the box arrives every month. This subscription has definitely made him fall in love with reading and helped my husband and I know what level he should be on at his age. 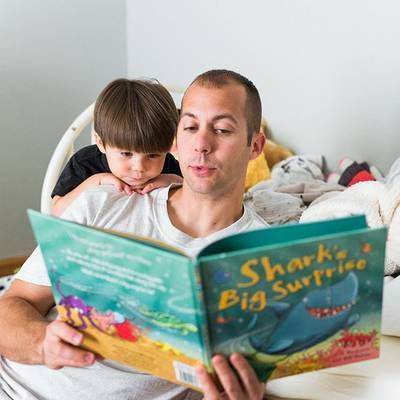 The parental guide has awesome ideas about how to engage your child while you read. We suggest this monthly subscription to anyone with kids.